Hurry Up! | Become Docker Techi & start your career in DevOps by enrolling in Learn Docker from Scratch to Docker Swarm course. Enroll now with 50-56% discount. Use DOCK30 coupon for more discount. Mobile application testing is a process by which application software developed for hand held mobile devices is tested for its functionality, usability and consistency. Mobile application testing can be automated or manual type of testing. 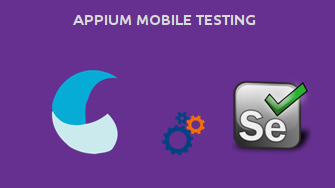 How is Mobile Testing different from Web Testing? 15 years of IT experience in software testing, quality assurance and quality management. Experienced in leading and managing medium to large testing teams. Have extensively trained participants in the areas of Software Testing Concepts, Quality Assurance, Quality Center, QTP, LoadRunner, Bugzilla, JIRA and Selenium. Testing process owner at the organization I have worked. Have mentored resources and helped set a career path and achieve testing certifications. What kind of learning does Infotek-Solutions provide? @Infotek, we offer instructor-led online live sessions and classroom-based trainings for various courses to the learners. Are classes @Infotek-Solutions conducted through online video streaming? Yes, the classes @Infotek-Solutions are conducted through online video streaming where there is two-way communication between users and instructors. The users can speak by using a microphone, chat by sending a message through a chat window and share their screens with an instructor. For better understanding, users also get recorded video of the class. Who are the instructors @Infotek-Solutions? @Infotek-Solutions, we have an instructor community of industry professionals who are working in leading organizations and are veterans in their respective fields. These experts belong to various industries and are willing to share their talent with learners like you. Infotek Solutions Inc is an IT Consulting, Training & Manpower Staffing Company renowned for services and business solutions that are built around our clients need. We deliver projects, processes, infrastructure and technologies that organizations need to effectively align IT with business objectives.